Again one of my mom’s recipes that I remember eating with relish since childhood. Kathal or the humble jackfruit is consumed as a vegetable in the North of India. I remember mom making curry, pulao and pickle out of it. I never remember eating the fruit though till I came to live in the South. The fruit is sweet and fleshy but the best part for me are the seeds or the coveted koye. They have a lovely, nutty taste. Boiled with salt and added to dal, they are delicious. Anyhow, here is the recipe for kathal ka pulao or Biryani. It does take a bit of time to make but the results are yummy. It is one of my husband’s favorite. And he is the one who chops the vegetable in pieces. It is a dicey veggie to chop and you will need a sharp knife and lots of oil to apply on your hands and knife to safeguard against the sticky, milky sap that oozes out of it. Normally, I saute all the jackfruit pieces with some oil and salt. That way you can store them in fridge for upto a week and they will not spoil. This is a delightfully tasty pulav or biryani made with raw jackfruit that has a meat like texture but is completely vegetarian. Saute jackfruit pieces and keep aside. Bring water to a boil for preparing basmati rice. Add salt to it. When it comes to a rolling boil, add soaked rice along with all the spices and let it cook for about 8 minutes or till it is half cooked. It should not be completely cooked. Drain and keep aside. 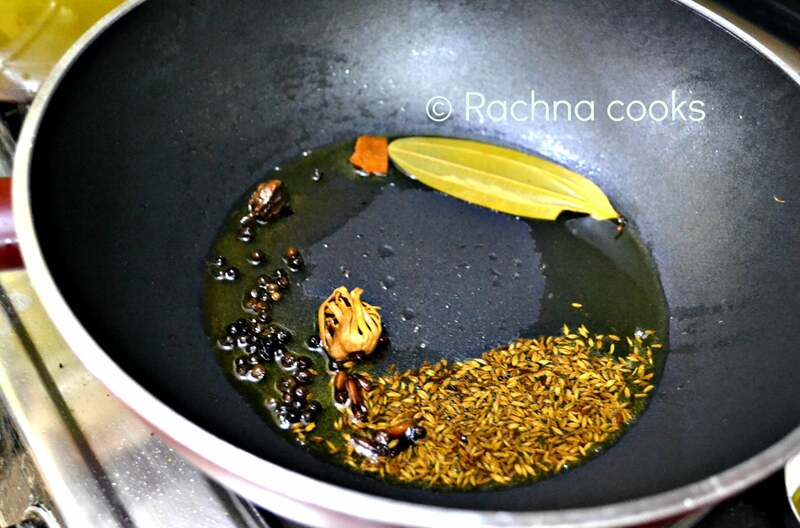 Prepare the jackfruit masala by heating ghee in a wok. Add in the cumin seeds and other whole spices and saute for a couple of minutes. Now add the onions and cook till transparent. Add in the ginger-garlic paste and tomatoes and cook more till mushy. 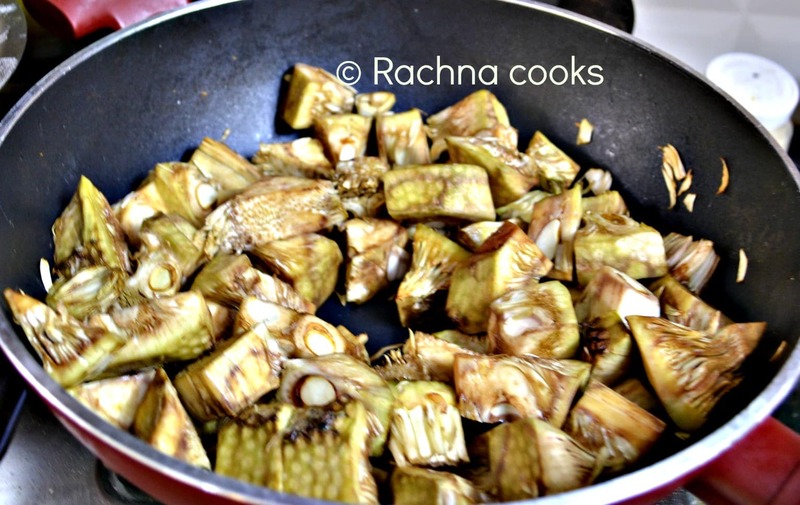 Add the sauteed jackfruit pieces and cook together for a few minutes. Add green chillies, turmeric powder, chilly powders, garam masala powder and salt and cook some more. 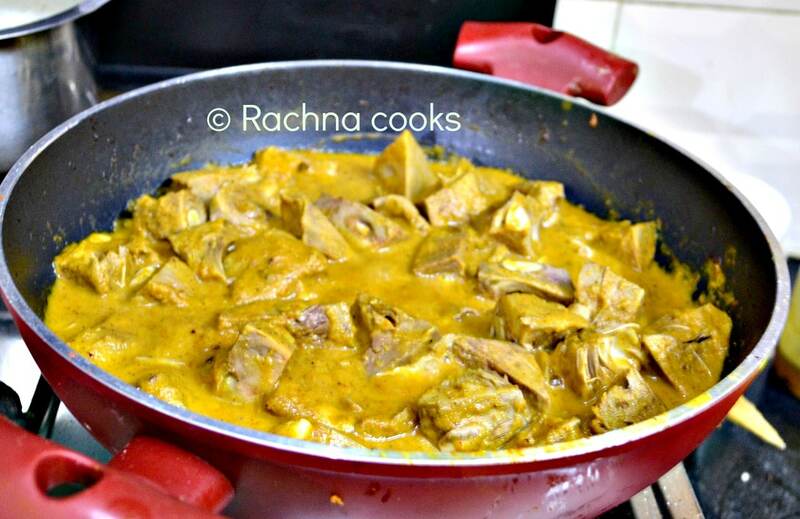 Take a thick bottomed pan and in the bottom layer spread out the jackfruit with the thick masala. Add some chopped coriander. Now add the layer of parboiled rice. Sprinkle some ghee all over the rice. Garnish with some chopped coriander leaves. Now close the top of the pan with a sealed lid. Cook on low to medium flame for about 20-30 minutes. 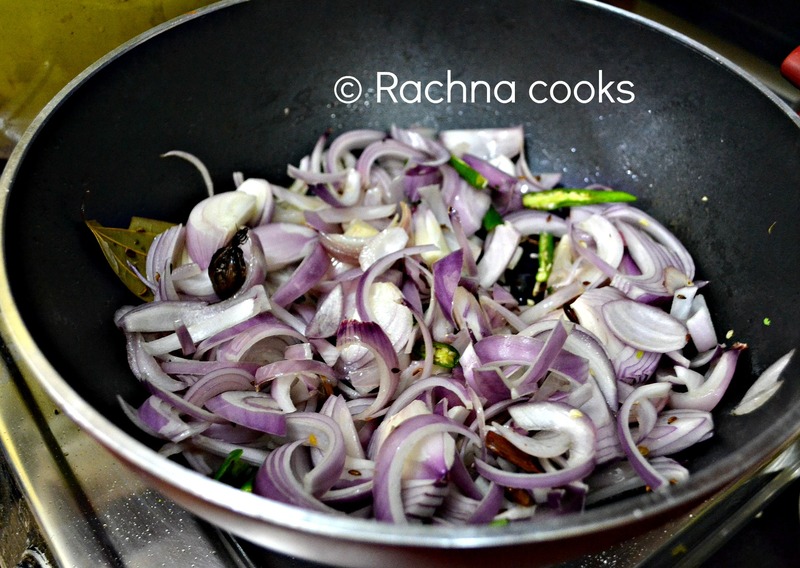 You can add a few mint leaves and also fried onions to make this dish even closer to the non-veg biryani. You can also serve with boiled egg if you so like. To make it vegan, instead of ghee use mustard oil. It tastes equally good. 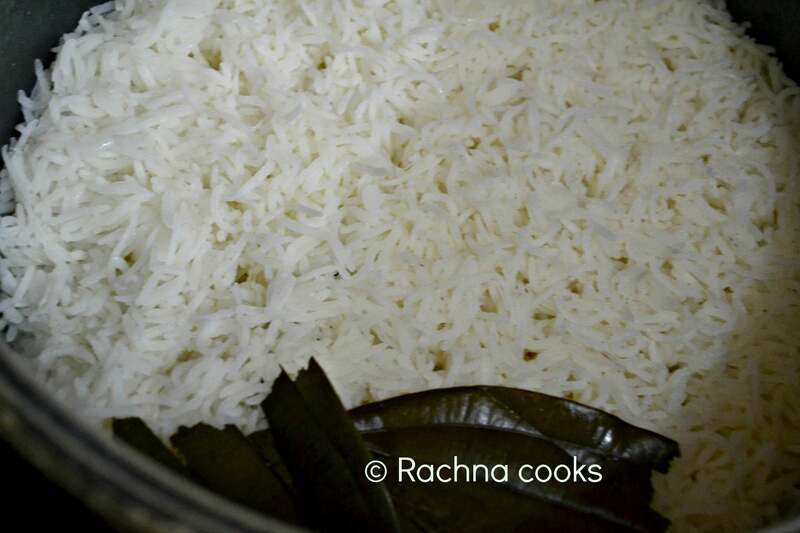 Parboil the soaked and drained rice with water, 1 tbsp. ghee and whole spices on the gas stove. Drain when half cooked. Saute the jackfruit in a little oil with salt till it browns a bit. Normally takes about 10 minutes on low flame. You want the jackfruit to be half cooked. Now in a pan, heat the ghee. Add all the whole spices and allow them to sputter. 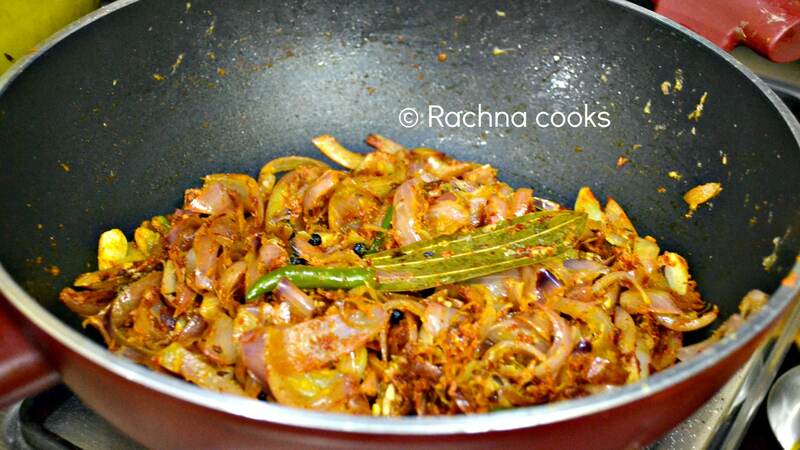 Now, add in the chopped onions, chopped chillies, ginger-garlic paste and saute till all are nicely browned. Add in the tomatoes and all the masala powders. Fry till mushy. Cook some more with sauteed jackfruit pieces. Add salt to taste. Do try this tasty one-pot meal. 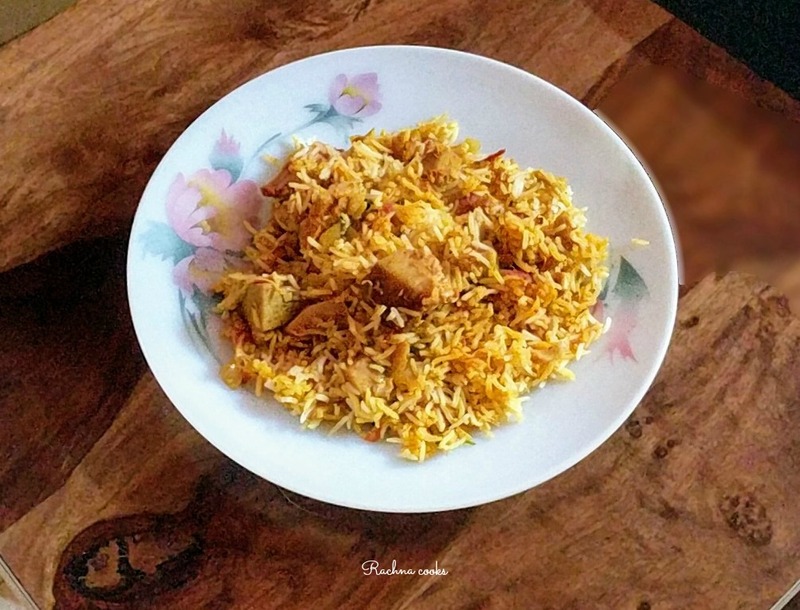 It tastes very close to meat or chicken biryani while being completely vegetarian. 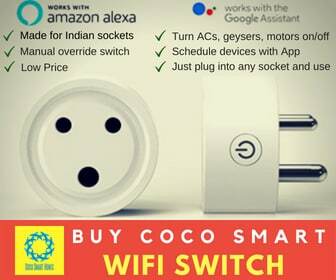 If you like this post, do share. You know, the ripe jackfruit (to be eaten as fruit) is rarely seen in North, unlike South India. Here we use it only for making kathal ki sabzi. 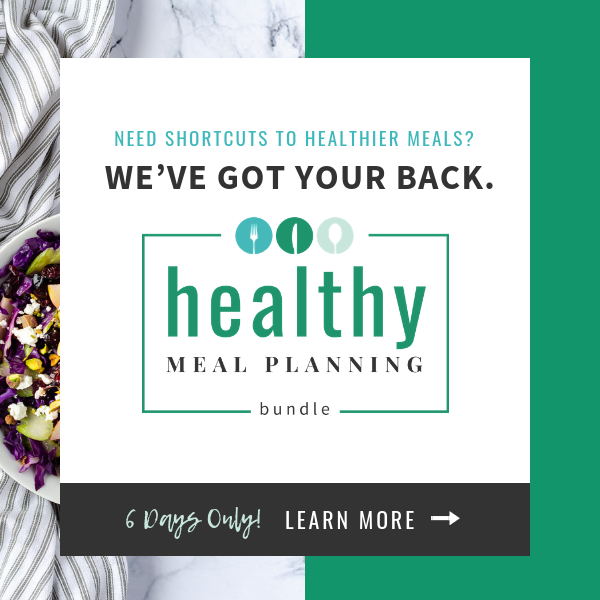 Must try this out, looks great! True, Shilpa! I remember wondering in my childhood why it was called jackfruit in the first place. It is only in the South that everyone eats the fruit and it is difficult to find raw, completely grown jackfruit for the sabzi. I hope you enjoy it. Ah, now that is so interesting! Do you make yours similarly? Mine is more like a biryani sans onion garlic. Interesting. Do share your recipe. I’m so hungry after reading this… I always loved kathal ki sabzi… but I never attempted to make it as I can’t chop it and S is too lazy to help! Arre make him help. He is from UP na. Didn’t he have it at home? Wish I could have fed you what was cooked. I made a large batch :). I’m thinking I’ll like this. Didn’t know this part of the Jack-fruit was used in dishes. We Mals make side dishes out of the unripe fruit and also make curries with Jackfruit seeds. Yep, indeed this is quite a favorite in the North of India. I love jackfruit seeds a lot. beautiful! I make Jackfruit Tacos out of green Jackfruit. It shreds and resemble meat in texture (for ones that need that) .